Today I’m sharing my recipe for Buttery Sweet Corn Bread! A moist tender quick bread that goes perfectly with your favorite chili or bowl of soup! Corn bread! I found this recipe for buttery corn bread when I subscribed to “Taste of Home” magazine. About 16 years ago! Wow! I tweaked it here and there, and it’s been my very favorite cornbread recipe ever since! I don’t even buy boxed corn bread mixes. This is recipe is just too easy and delicious. In a mixing bowl cream together your butter and sugar. Add in the eggs, milk, and buttermilk. 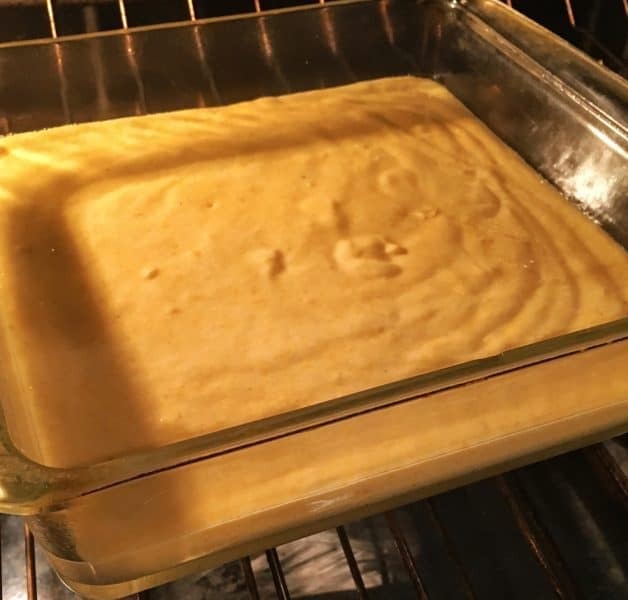 Pour the corn bread batter into a greased 9 x 13 baking pan. Now I’m going to pause here for just a minute. If there are just two of you, and you don’t want this giant pan of corn bread, you can cut the recipe in half. For the eggs cut the recipe down to two eggs instead of three. I find trying to use half of a whole raw egg rather difficult. I have spoken with the chickens of the world and asked them if they could lay just half an egg? The response wasn’t pretty! Similar I imagine to asking a woman in labor to stop half way through the process. So, for everyone’s safety… let’s just take it down to two eggs. I know you can crack the egg and whip it and divide it. However, then you’re left with the guilt of throwing away half an egg. We don’t have time for any more guilt. We’re women we have all the guilt we can handle! Two eggs will be fine and actually will make the corn bread even more fluffy and delicious. For the remaining ingredients cut them in half and then use a 8 x 8 greased baking pan. It turns out perfectly! If you have a crowd, leave the recipe as is. Bake at 400° for 22-27 minutes or until a toothpick inserted near the center comes out clean. Cut into squares and serve warm with butter and honey! YUM!!! This moist sweet crumbly corn bread is so light and fluffy you almost need a fork to eat it! It goes perfectly with chili, taco soup, or corn chowder, just to name a few! Plus it’s great with BBQ! We don’t want to put corn bread in a closet only to be taken out during the winter months. It’s a staple in the South, and one we could do with year round! I do want to stress that this is a “sweet” corn bread. That’s probably why we love it so much! I know everyone has different preferences when it comes to corn breads. It’s kind of like BBQ techniques! Some love it with spicy peppers and corn, others prefer a more dense dryer corn bread. If you’re a fan of sweet corn bread like we are, I hope you’ll give this one a try! I know you’ll love it. I used to have a wonderful chili and corn bread dumpling recipe. Doesn’t that sound good? I’m going to go search for it! A sweet buttery moist corn bread that is perfect with soups, salads, and BBQ. Sure to be a family favorite! In a mixing bowl, cream together butter and sugar. 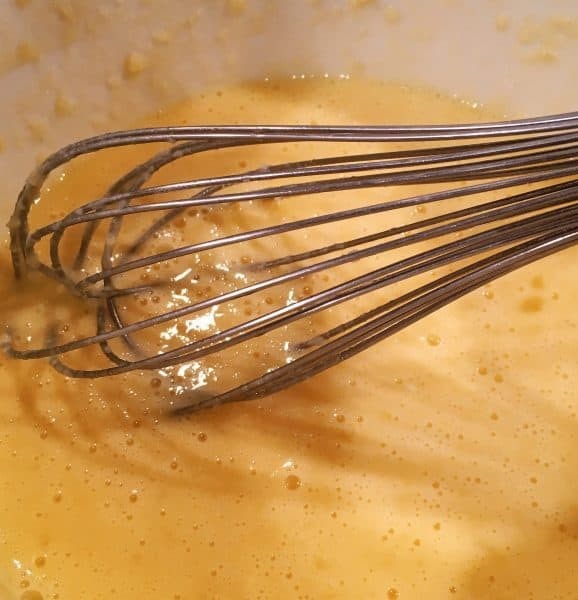 Add in eggs, buttermilk, and milk. Mix till well blended. 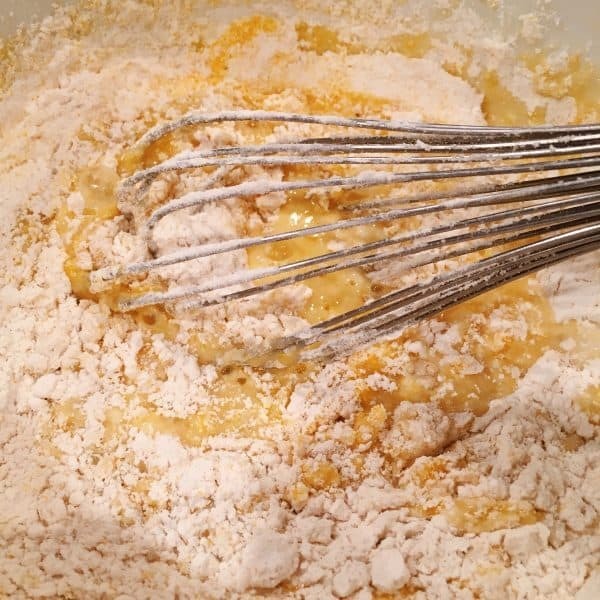 Add flour, cornmeal, baking powder, and salt. Mix until all ingredients are well blended and combined. Pour into a greased 9 x 13 inch baking pan. Bake at 400° oven for 22-27 minutes or until a toothpick inserted near the center comes out clean. Cut into squares; serve warm with butter and honey. Please note you can cut this recipe in half by using an 8 x 8 inch greased baking dish and using only 2 eggs instead of three. All other ingredients are cut in half. I am always looking for a greaf cornbread recipe. Sure, the blue box is easy when you’re baking in a jiffy (get it, ahah) but home made is so much better. thanks!! I agree Carrie! (Loved the pun!) This really goes together quickly and is so yummy! 😉 Thanks for stopping by! Hi Angelia! Thanks so much for the feedback! I always have to adjust my oven temp because my oven tends to cook 25° hotter than the actual temp on the dial. Once I made that adjustment everything turns out perfectly. I’ll try reducing the baking soda in mine next time to see how I like it. Thanks for the tips! So glad you enjoyed the recipe and I have no doubt it will be delicious with your pinto beans! 😉 Thanks for stopping by!! This sounds so yummy, I am very eager to try it. If I don’t have buttermilk, should I do the “make buttermilk w/ milk and vinegar” or just use plain milk? This looks great! I’m wondering if it can be baked as muffins? Question: I have self rising flour. Will that work? I’m confused. Somebody made a comment (Angelia)about reducing the amount of baking soda, but I don’t see no mention of soda in the recipe. Was that comment should have been about baking powder or should soda be added to the recipe –and if so, how much? I do know that buttermilk does well with soda so that’s why I ask. Sorry it has taken me so long to get back to you. My server was down yesterday and I was locked out of my own website! Arrrrgh!!! So frustrating. It was a typo on her part. There is no baking soda in this recipe only baking powder. I personally wouldn’t reduce the amount at all. This is meant to be a really light and moist corn bread. Reducing the baking powder would make it more dense and heavy. That is just my personal opinion and we all have different “tastes”. Thanks for checking with me. Sorry for the confusion. Hope this helps. Have a wonderful weekend! Thanks for visiting my Nest. Can I substitute milk for original almond milk? Hi Haley! Yes you I’m sure you could. It may make the dough a little thicker because almond milk tends to do that… so you may want to add a Tablespoon of water to your almond milk. Remember it could change the taste slightly too. 😉 Thanks for stopping by my Nest! Enjoy and have a GREAT week! Hi Yvonne! Thank You SO much for sharing with me! It’s my favorite corn bread recipe. 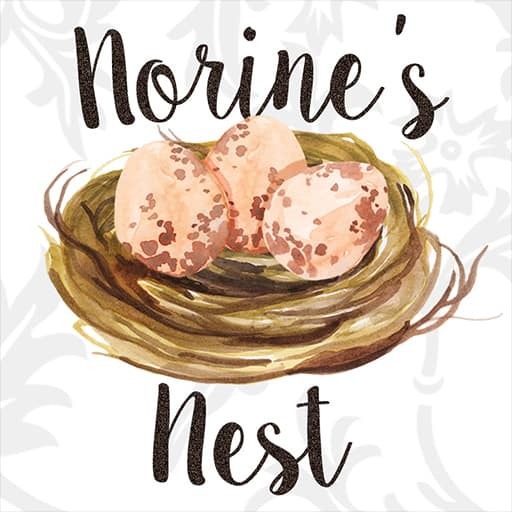 I always love to hear that a recipe we love here at this Nest is becoming a favorite at another Nest! 😉 You made my day! Have a great week! Hi Norine! I was just curious abt the corn meal used… Is it fine or course corn meal? I can’t wait to try this recipe. Also, would I be able to add corn? Just for some added texture. Thanx so much! Hi Adrianne! The corn meal I use is fine grind for breads. I think it would be okay to add corn as long as you drain it really well. Thanks for reaching out to me. I always love to hear from my “Nest” friends. 😉 You’ll love this corn bread. Hi! Can I make this ahead or is it best to make day of? You can make it ahead of time…BUT it won’t be as good as the day of. As it sits over night it becomes more firm and less “melt in your mouth”. It’s still really good, it’s just not as good as when you make it fresh. It will reheat in the microwave wonderfully…but again it just doesn’t have the same texture as it does when it is fresh out of the oven. Hope this helps you out. Thanks for visiting my Nest! Have a Great Week! I’ve been looking for a good cornbread recipe. I dropped the temperature to 375 as well. It came out amazing!! Thank you. Thank you so much for sharing with me. I do love this corn bread recipe. So glad you like it too! Bean soup sounds amazing. Especially this time of year. The corn bread will go perfectly with it. I can’t wait to hear how you like it! We may have to swap recipes…bean soup for corn bread. 😉 Thanks so much for stopping by and sharing with me. Enjoy that soup…it sounds delicious! Happy Nesting and a Merry Christmas! Regular Cornmeal is perfect for this recipe. Thanks so much for stopping by my Nest. I hope you have a wonderful New Year. Hi! Thoughts on adding canned corn to this recipe? Thanks for stopping by and I hope you have a FANTASTIC New Year! 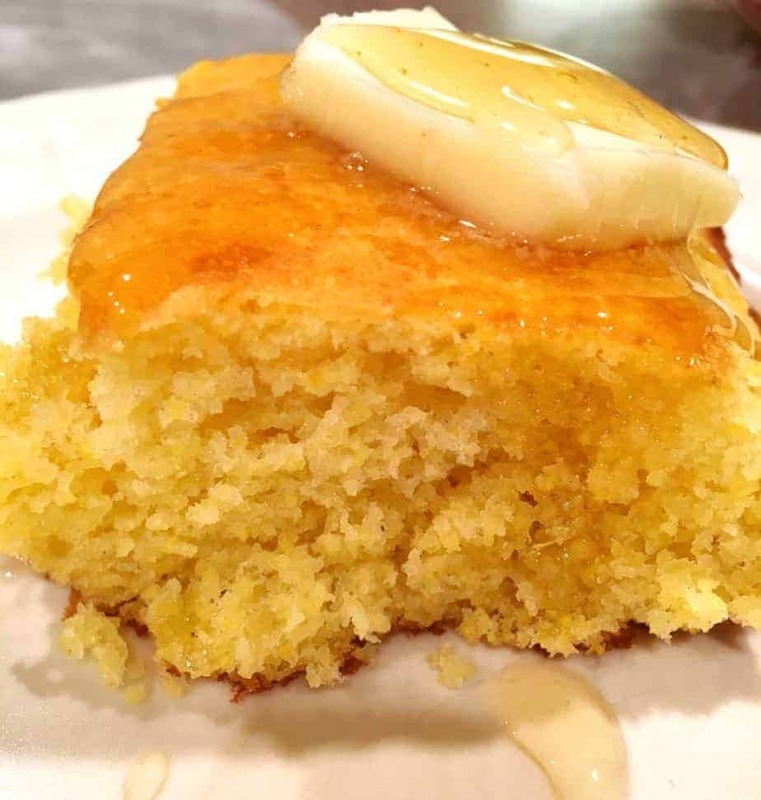 The best recipe for homemade sweet cornbread! Thanks! I’m so glad you liked it. I love this corn bread recipe. Give me some butter and honey and we are good to go! 😉 Thanks for stopping by and visiting with me. Hope you have a GREAT week! I made this tonight to go with beans and tators and omg it was so good this is for sure a keeper recipe for me, the only thing I did different was add less sugar (3/4 cup) and it was BETTER then Jiffy! Your dinner sounds amazingly delicious! I’m so happy you liked this corn bread recipe. I made it just a few weeks ago in my cast iron skillet and the clan over here gobbled it up fast! Thanks so much for stopping by and sharing. 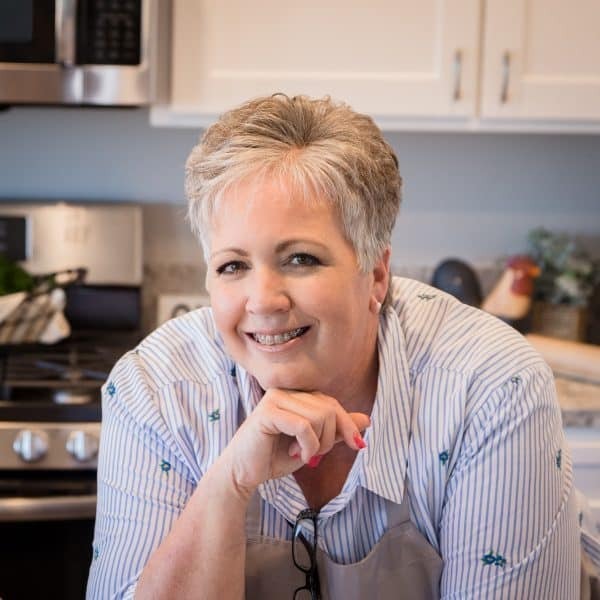 I sure appreciate it and it always makes my day to hear that someone loved one of my recipes. Hope you have a great weekend. Let me just say that this has got to be the best cornbread, ever! I made it for breakfast this morning and my family loves it. I’m eating a piece right now. You’ve done wonderful thing, Ms. 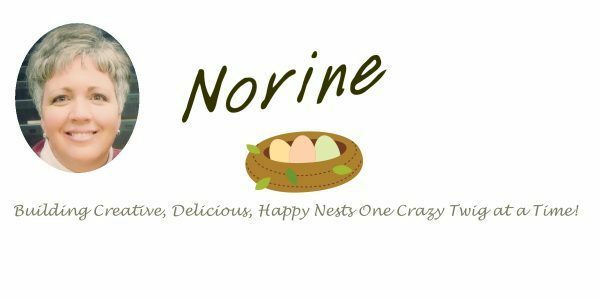 Norine!! Thank you. Thank you so much! You made my day. I have a smile on my face from ear to ear. I so appreciate you taking the time to share with me. I hope that corn bread makes a regular appearance at your table. What would the ratio of vinegar or lemon juice be to make buttermilk for this recipe? Excited to try it. I have a go to but have been looking for something new. For every cup of milk you add 1 Tablespoon of Vinegar or Lemon Juice. It works perfectly as a substitute for buttermilk. Stir it in and allow it to sit for a couple of minutes then add in to your recipe. You will love this corn bread recipe. I have never had a better piece of corn bread in my life. Enjoy! Thanks so much for stopping by and visiting with me. Let me know how you like the corn bread. First I’m so sorry yours turned out dry?!!! I’ve never had that happen with this recipe. It is a bit crumbly, but usually because it’s so moist…hmmmm…I’m wondering if it is an altitude issue? Maybe try adding a little extra buttermilk next time? That’s what I would do. I’m sure you didn’t over bake. I was having an issue with this once and it turned out my oven was cooking about 15 degrees hotter than it should be? I started dropping my oven temp by 25 degrees and didn’t have the issue any more? Just throwing things out there. I’m always sad to hear that a recipe of mine didn’t turn out. I take great pride in my recipes so I hate hearing this. Let me know if there is anything else I can do. So sorry. Can this be made in a cast iron skillet… if so what adjustments, if any, need to be made. I’ve made this recipe a bunch of times, it’s always a hit. Super yummy and moist!! Sorry I’ve been off for a few days and just getting back to work. I have made this recipe several times in a cast iron skillet. The only adjustment I made was to really watch my cook time. Obviously the cast iron is going to heat up and HOLD the heat longer than a glass baking dish. I set my timer for 30 minutes and then check it…just to be sure. Also, it will depend on the size cast iron skillet you use. I think I use an 18 inch. Hope this helps! Again sorry for the delayed response. I hope you have a wonderful New Year and thanks SO much for stopping by. Mrs.Norine, I HAD to leave a comment about how much we loved this cornbread!! I’m on the young side (39) but I’m an old soul in the kitchen. I love my cast iron and cook old fashioned southern meals. My husband however, has a different palate and loves Jiffy…..YUCK! I’ve always bought it and cooked it for him, but I made the real stuff for myself and the children. Well, a few months ago, I bought a few boxes and found bugs in them, fresh from the store! I refuse to ever buy them again!! Your recipe came along at the perfect time! My household LOVES this cornbread (even my hubby) lol I look forward to trying more of your food! Thank you from our home to yours! Thank You SO much for taking the time to leave this awesome comment! It made my day! Truly! I love your description of yourself…young but an “old soul” in the kitchen. The world needs more “old souls” in the kitchen. I’m with you on the Jiffy mix! 100%. I’m glad this recipe made a convert out of your husband to homemade cornbread. Hooray!!! (Oh this makes me happy.) I look forward to sharing more meals at the dinner table of your wonderful family! Have a Fantastic week and keep cooking! Your building memories and traditions!